ah just bought ronseal 9 litres 5.99 from homebargains beckton. The 5l stuff on the top shelf is One Coat, I'm not so sure about the 7.5l ones though. Reduced from £8.00 to £5.00 on Asda Direct. is the one coat stuff really one coat or does it require multiple coats? 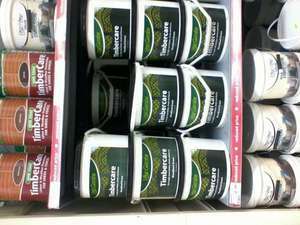 If the "your garden" fence paint is the same as the "your home" emulsion paint, then don't bother. Tried the emulsion paint last year and even after 4 coats it looked awful! I took the rest of it back and got a refund. Pay that bit more is my advise because you would use at least quadruple the amount! 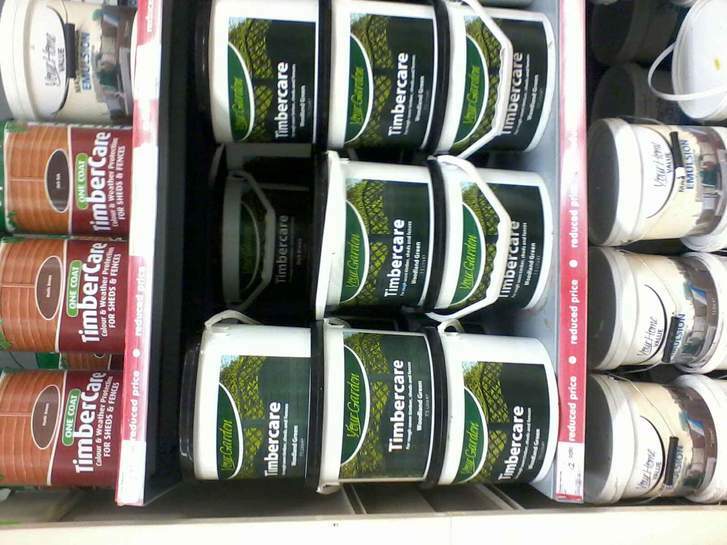 These one coat fence paints are fine if re-painting the same colour,try changing colours and they are hopeless. This stuff is awful, even at £2 it's a complete waste of money! Takes 3 heavy coats to get somewhere approaching even coverage, within a week the top rails all needed doing again, 3 weeks later the panels were starting to look ropey & after 6 months they all need painting again... but not with this cr*p.